This image was created last year for MCN and - beam frame aside - appears to be very close to subsequent patents. If you compare the intake to the one on last year's monocoque frame patent, it matches up perfectly. The RC30 was expensive, but worth every penny. 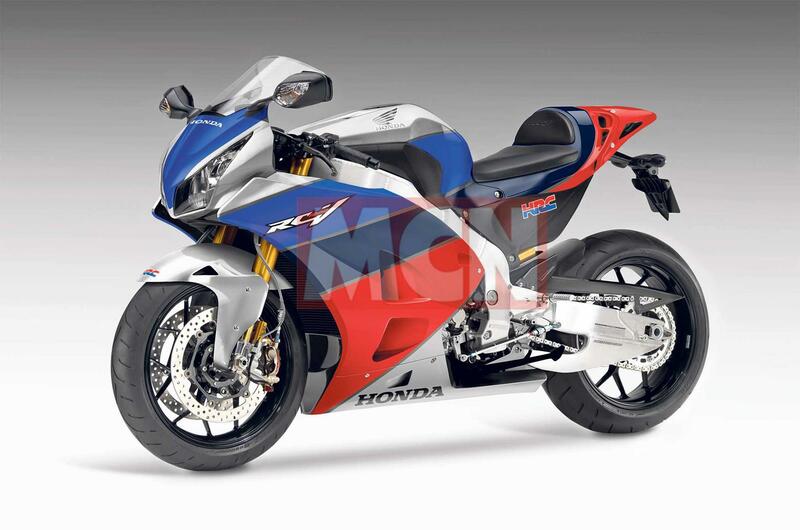 While the new Fireblade is grabbing the headlines right now, Honda’s engineers are already moving on with a secret V4 superbike that’s expected to be unleashed in 2019. 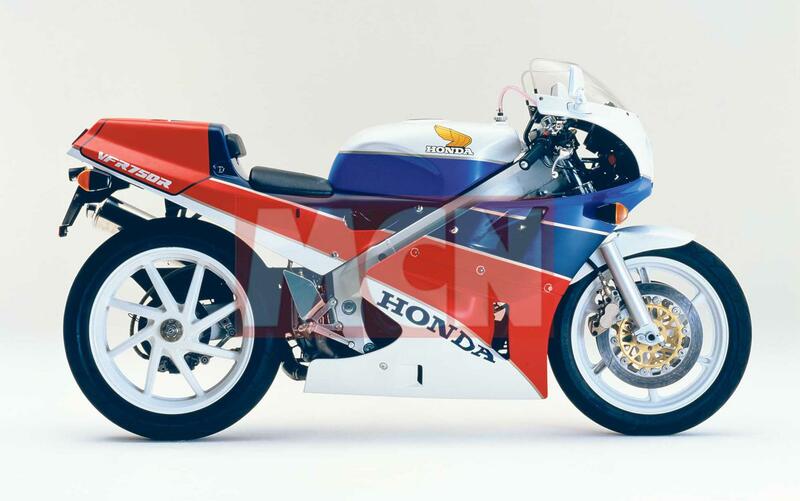 Scheduled to coincide with Honda’s 70th anniversary, the new bike is planned to be a true V4 homologation special in the vein of the legendary RC30 and RC45. Details published last year gave the first clue to the bike’s design, and showed a cast-aluminium semi-monocoque chassis like Ducati’s Panigale, wrapped around the RC213S’s GP-derived V4, and designed to be cheaper than that bike’s hand-formed beam frame to help meet the €40,000 price cap on WSB homologation machines. Now a whole rash of new patents have emerged to flesh out the Honda project. 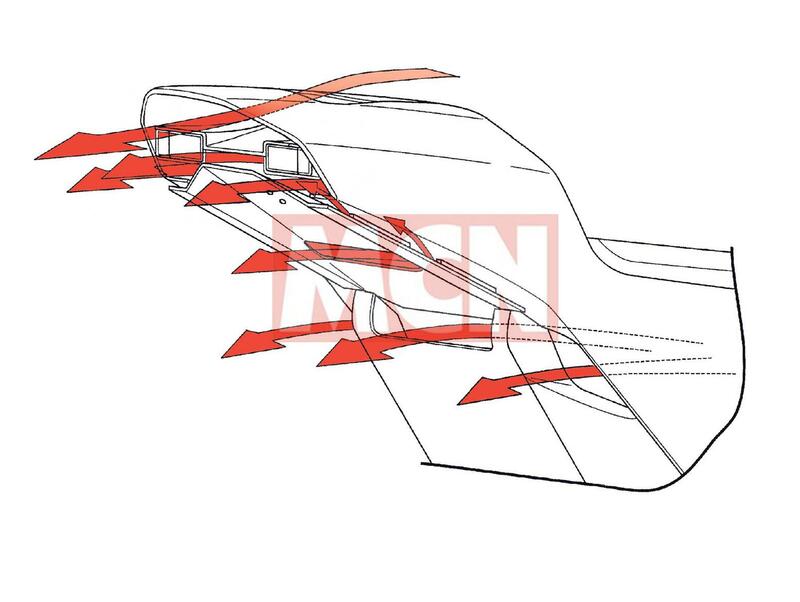 The first reveals a new tail unit design that’s intended to reduce aerodynamic drag. A pure single-seat set-up, it routes air through intakes either side of the seat pad and through a duct in the top to allow the airflow to continue an uninterrupted path from the slope of the rider’s back. The ducts merge into a single exit hole between two tail lights. Tellingly, the patent specifies that there is a licence plate bracket bolted underneath and indicators built into the twin brake/tail lights. The patent also specifies that it has a V-four engine and chain final drive. 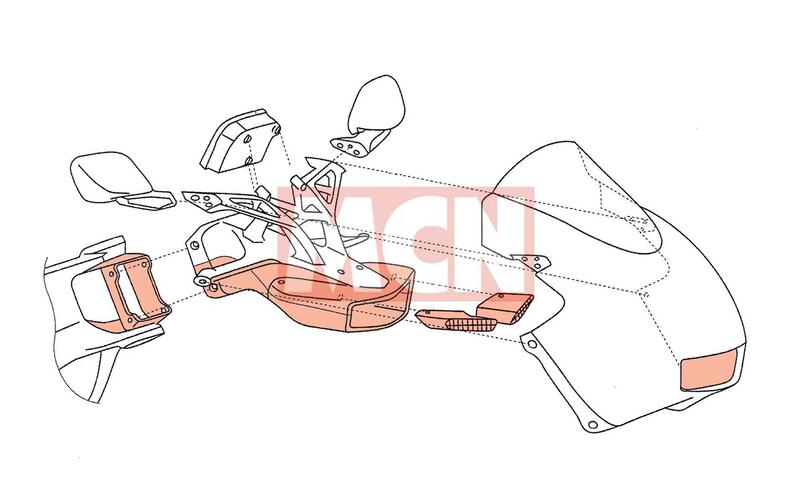 A second, connected patent reveals the design of the exhaust hanger and footrest bracket, and confirms that all four cylinders are vented through a belly-mounted pipe, with no RCV-style under-seat exhaust. The front sections of these patent drawings are just placeholders, though, showing a beam frame and a fairing like an old-school RC211V racer. The real thing will use the new monocoque. And Honda need this. They build some of the most accomplished bikes on the planet, but what kudos they gain from their racing tends to lose its allure as it’s refined for the road. This new V4 could capture that raw HRC magic, and imbues it into a production bike. This image was created last year for MCN and - beam frame aside - appears to be very close to subsequent patents. If you compare the intake to the one on last year's monocoque frame patent, it matches up perfectly. The extra vents are to drag hot air from the engine suggesting the bike will have an all-enveloping main fairing The RC30 was expensive, but worth every penny.